Historical field trips, just for fun, and many more events. The fabric is excellent quality and is machine washable. 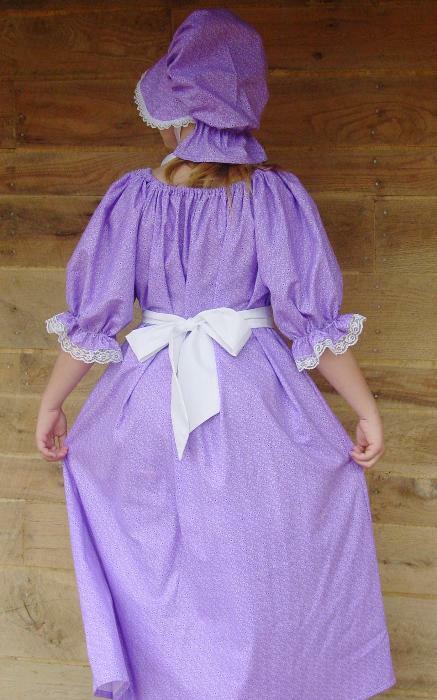 This costume includes the dress, apron, and matching bonnet.